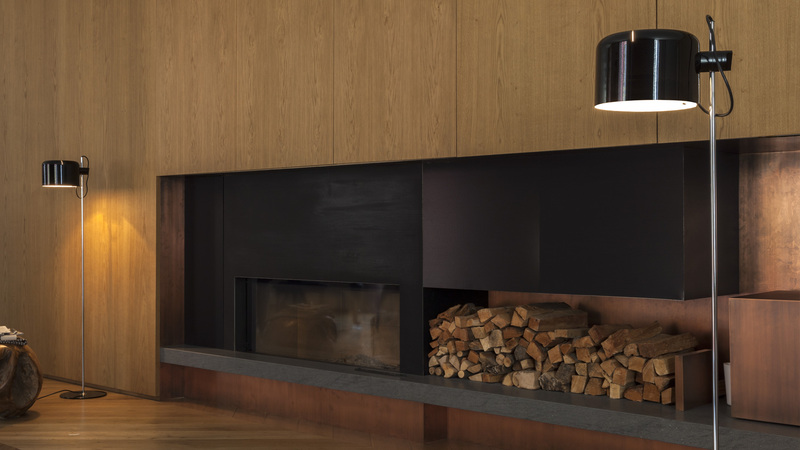 Table and floor lamp with special semi-cylindrical reflector in stove-enamelled metal. 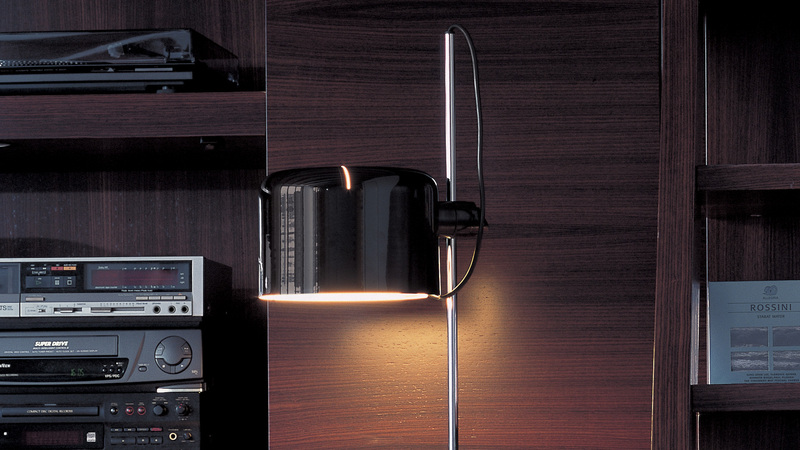 It tilts and turns on a black plastic joint, which also adjusts the height of the reflector. In 1968 Coupé won the “International Design Award” from the American Institute of Interior Designers, in Chicago. It is part of the permanent collection at the MoMA in New York and of the “Neue Sammlung” Museum in Munich. 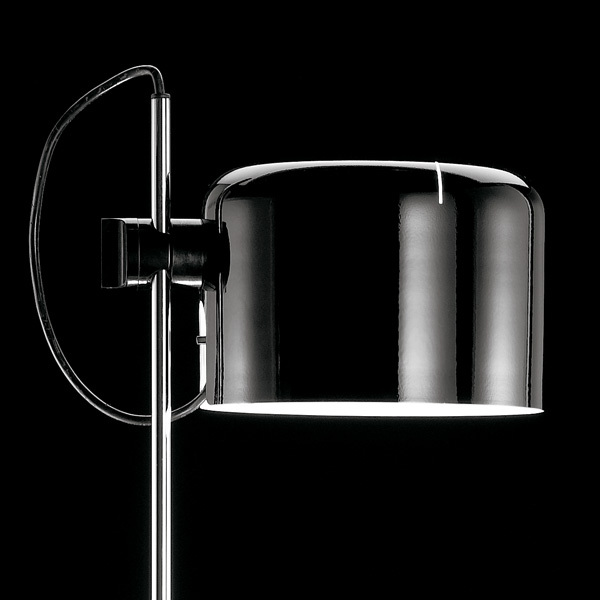 Floor lamp giving direct light, lacquered metal base, chromium-plated stem, adjustable reflector in lacquered aluminium.